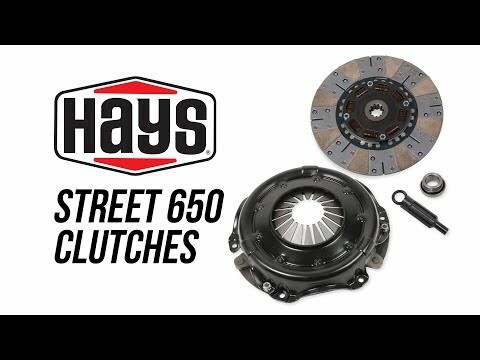 Hays Street 650 single disc kits are designed handle highly modified engines up to 650 naturally aspirated horsepower (600HP for forced induction & nitrous combinations). 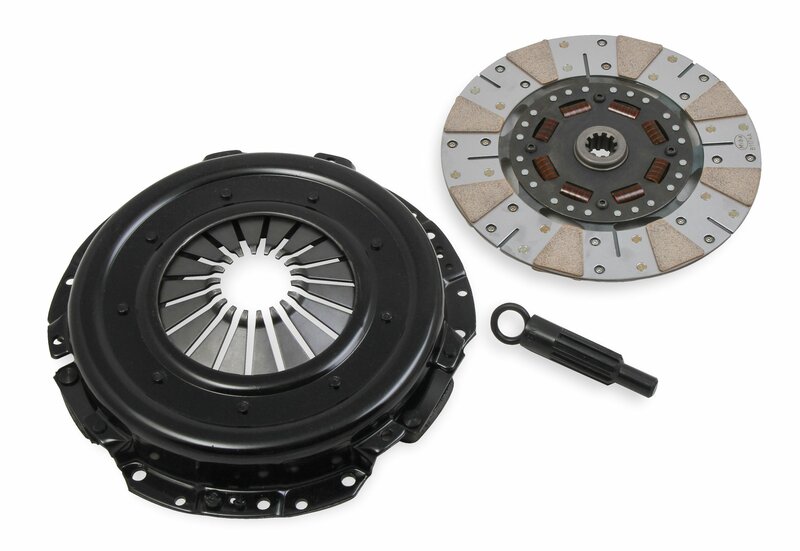 Designed as a true Street/Strip clutch for spirited high performance driving or frequent track use. The high performance disc utilized in the Street 650 has an 8-spring hub with encapsulated damper springs and a sintered metallic friction surface. The encapsulated spring can handle 3 times the shock load versus a standard coil spring. Sintered metallic material provides a degree of slippage on vehicle launch to prevent violent engagement characteristics found in paddle-style metallic discs. Each kit includes pressure plate, clutch disc, alignment tool, and instructions.